No known grave; (CWGC) Official Commemoration - Memorial Location: Column 140. Adelaide WW II Wall of Remembrance*, Australian Army Nursing Sisters Monument, Australian War Memorial, Roll of Honour, Banka Island Massacre, Kranji Singapore Memorial, Pinnaroo War Memorial - Obelisk*, Vyner Brooke Tragedy Memorial, W.A. 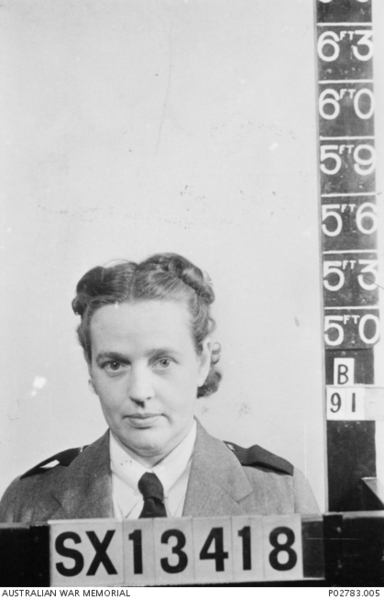 Embarked Australian Army Nursing Service, Lieutenant, 2nd/13th Australian General Hospital, Embarked Ship - Date and Place of Departure: SS Vyner Brooke, 12/02/1942, Singapore, (with 65 other nurses, and civilians); to Japanese Aircraft Attack - sinking disaster - SS Vyner Brooke - Date and Place: 14/02/1942, Banka Strait (by Banka Island); (AWM) The Sinking of the SS Vyner Brooke. Saturday; 3 November 1945, Page 19. As ordinary women, by your living you honor all mankind. Born 6th March 1903 at Warracknabeal, Victoria, Florence Casson’s family were living in Adelaide at the time of the outbreak of WW2. She was Matron at the Pinnaroo Hospital, a small South Australian country town near the South Australian/Victorian border. The 2nd/13th Australian General Hospital of the Australian Army was sent to Singapore (September 1941) but was re-located to Malaya in November 1941. With allied defeat imminent on the island of Singapore in early February, 1942, Australian Army Command ordered the evacuation of the nursing sisters from the three Australian hospital units there. The 2nd/13th AGH, the 2nd/10th AGH and the 2nd/4th Casualty Clearing Station. All the sisters left Singapore on 12th February 1942 on board the British Merchant Ship “SS Vyner Brooke”. The ship was carrying the 65 sisters of the three Australian hospital units and some 250 other evacuees. These included many wounded British soldiers, British civilian government staff and their families and some Dutch nationals. The Vyner Brook was attacked and sunk by Japanese bombers on the 14th February 1942 very close to the southern coast of Sumatra. Three Australian nurses were killed in the bombing attack. Some reports state that Sister Casson was severely wounded during the attack, but still reached the shore. This disaster is still remembered in Australia today. Stranded on a beach of Bangka Island located off the Sumatran coast (Present day Indonesia), with no food or medical supplies the group was forced to surrender to the Japanese forces. On the 16th of February 1942 fifteen Japanese soldiers divided the survivors by gender into two groups. The men were marched to an area out of view. The nurses heard a quick succession of shots before the Japanese soldiers came back, sat down in front of the women and cleaned their bayonets and rifles. Twenty two captured Australian army nursing sisters and one British civilian lady were forced at bayonet point by Japanese soldiers to wade into the sea, leaving ten or twelve stretcher cases on the beach. Fully aware of their fate, the nurses put on a brave face. Their Matron, Irene Drummond, called out: "Chin up, girls. I'm proud of you and I love you all." They were then ruthlessly machine gunned by these troops. Only one woman, (Captain) Sister Vivian Bullwinkle (born Kapunda, South Australia, Army Number VFX 61330) survived, after feigning death and with a bullet through her spleen, she was later held as a POW for the rest of the war. 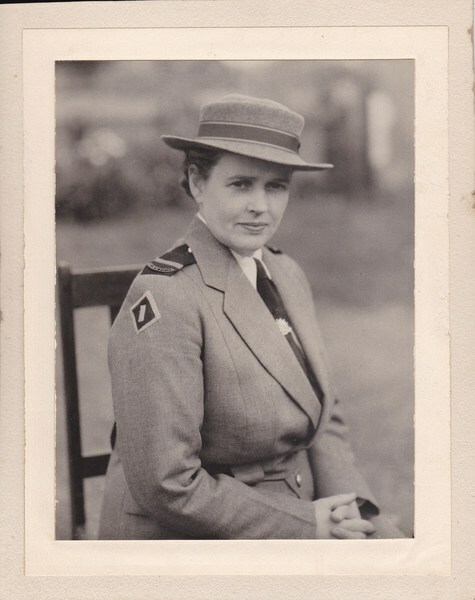 One of the 21 Australian nursing sisters’ cold bloodedly murdered on that beach was Lt. Florence Rebecca Casson. Her body like the other 21 women shot dead (including the British civilian), was never found. She is commemorated on the Singapore Memorial located in the Kranji Commonwealth War Graves Commission Cemetery. Sister Casson is remembered by memorial plaques in the Pinnaroo Hospital, Royal Adelaide Hospital, and the Obelisk at Pinnaroo. There is a display in her honour located in the Pinnaroo Museum.